Barceló Bávaro Grand Resort has one hotel for families, ideal for a Caribbean vacation with kids, and another only for adults that’s just fantastic. If there is a hotel with a privileged location in the Dominican Republic, it’s the Barceló Bávaro Grand Resort. The first of its kind on the Playa Bávaro beach, one of the best in the world, the rooms of this all-inclusive resort have views of white sand, endless palm trees and crystal-clear water, stretching for two kilometers. 11 restaurants serving international cuisine, an incredible spa, gym, bowling alley, casino, club, shopping center and unique experiences are just some of the ingredients for a perfect Caribbean vacation with the Bávaro touch. Follow Vitor Liberato on his trip to Playa Bávaro, and share the fun and daring activities offered by the Dominican Republic paradise. Find Us Lost reveal highlights of the cuisine of the Dominican Republic: delicious food befitting its paradise setting. Away Lands agree that the Dominican Republic is a must-visit right now. Enjoy an unforgettable vacation for two in the heart of the Caribbean. With the Brazilian blogger Vitor Liberato, explore the presidential suite, one of the most exclusive rooms at the Barceló Bávaro Grand Resort Hotel. Playa Bávaro has every shade of blue, and is one of the best beaches in Dominican Republic and the entire Caribbean. Do you fancy a vacation? The Blonde Vagabond travels to the Dominican Republic and stays in one of the best resorts in the Caribbean, the Baeceló Bávaro Grand Resort Hotel. 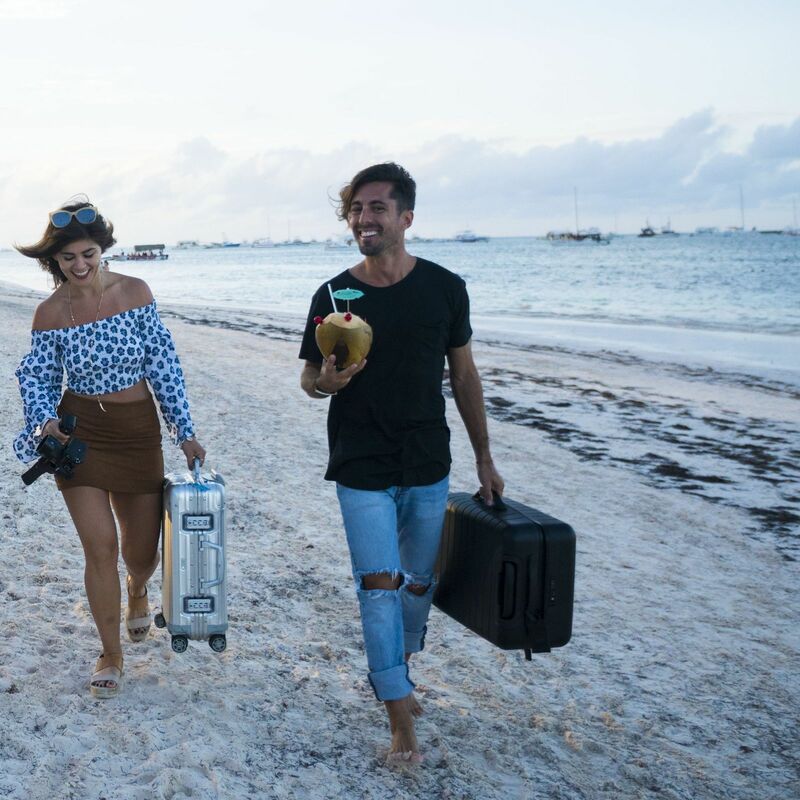 The bloggers Away Lands reveal their experience at Barceló Bávaro Grand Resort, one of the most romantic destinations for couples. Join Vitor Liberato in the Dominican Republic, a paradise destination in the Caribbean, and discover the activities and adventures it offers. Let the Barceló Bávaro Grand Resort organize your visit to Saona Island and just worry about enjoying the experience.